Pure and natural eucalyptus honey lozenges. Sugar, glucose, pure honey, eucalyptus essential oil, menthol natural flavour, natural peppermint flavour. After working with the government as an advisor for 30 years, M. Rolland Labonte developed a unique knowledge for honey and its derivatives He then started his own company more than 70 years ago. 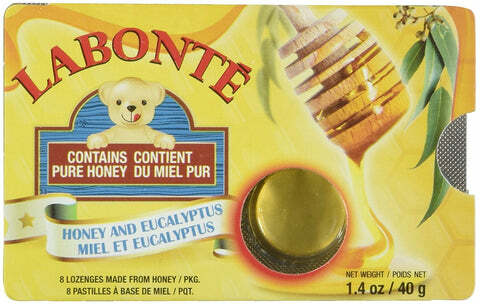 Labonté inc. produces and distributes a wide variety of honey-based products of high quality.